I love learning the behind-the-scenes stories, so this slideshow was right up my alley. 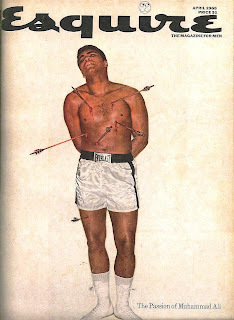 In it, art director and magazine consultant George Lois talks about the geneses of his 12 favorite Esquire covers that he created during his 1962-72 tenure at the magazine. Really interesting stuff.